Dr. Craig receives questions concerning the amazing mathematical structure of the universe. Is this an argument for God? 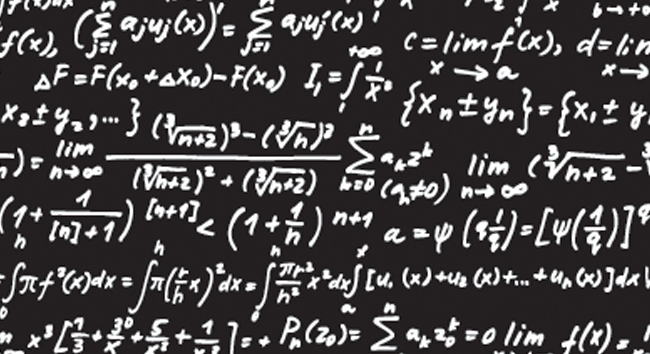 Kevin Harris: God and math. All that praying you did before your math test is one way God and math are related, but today we have a couple of questions concerning mathematics. This is Reasonable Faith with Dr. William Lane Craig. Thanks for joining us. Dear Dr. Craig, can I thank you for all the work you've contributed? My Christianity has been absolutely strengthened through the study of your work. My question concerns the warrant for the argument from the unreasonable effectiveness of mathematics. First, why think that naturalism can't tolerate happy coincidences? On naturalism, the very fact that we exist to begin with just is the result of these types of improbable events. So I don't see how this is incompatible with naturalism. Moreover, so far as I can tell, you haven't provided any type of reason for believing that this premise is true apart from the fact that Alex Rosenberg agrees with it. 1. If God did not exist, the applicability of mathematics would be just a happy coincidence. So the reader here is asking why think that the applicability of mathematics is not just a happy coincidence. I guess the answer would be, Kevin, that the breathtaking complexity of the mathematical structure of the physical world is something that doesn't have to be there, and its presence just seems unnatural. It seems to cry out for some sort of explanation for why the physical world should be like this. To say that there just isn't any explanation for it, that it is just a happy coincidence, I think would be unscientific. It would stifle scientific thinking. The whole project of science is driven by the need for explanation to account for things that don't seem to be natural but seem incredibly unnatural. That certainly seems to be the way the physical world is structured. Now he says but on naturalism our very existence is the result of improbable events. Well, the difference there, clearly, is that the naturalist can tell an evolutionary story about the causal sequence of events that led up to my improbably existing. Certainly it is improbable that I should exist, but given the causal antecedents to that you can tell a story that makes it quite intelligible as to why I exist. But that is what is lacking in the case of the mathematical structure of the physical world. There is no causal story to tell for the naturalist. It is just this happy coincidence to use Mary Leng's words. That just doesn't seem explanatorily adequate. So that is why I, Rosenberg, and a host of others find the applicability of mathematics to the physical world to be profoundly puzzling. Kevin Harris: Sometimes you hear in conversations like this the word “beautiful” applied – the beauty of a scientific explanation and things like that. I wonder, because we often think of beauty as being in the realm of aesthetics (art and music and creativity), is there a philosophical notion of beauty? Dr. Craig: I think that here it is mathematical in nature. When scientific theories are described as beautiful, it will have to do with the mathematical structure that it displays. So that would fit in very nicely, I think, with what I am talking about. Why is physical reality structured on this mathematical grid that gives us beautiful theories as well as just incredibly, incredibly complex theories? I've heard detractors of this argument try to rebut it by giving the analogy of a computer program. Computer programs, of course, rely on mathematical operations in order to work consistently and failure to do so could cause deleterious effects to the program. So why can't reality be like that? Indeed, it seems inconceivable to me that the world could be otherwise. Dr. Craig: Oh, it seems to me that this intuition almost supports what I am saying; namely, if reality or the physical world were not structured in a certain mathematical way then it would cause deleterious effects. That is part of the wonder that the world is life-permitting. That gets into the other argument for God's existence – why did the constants and quantities all fall into this incredibly narrow range so as to be life-permitting? We could easily conceive of a world in which the universe would be hostile to life. So he is quite right in thinking that. But that doesn't mean it is inconceivable. On the contrary, mathematicians and physicists are able to construct other mathematical models of reality that seem to suggest that the one that exists doesn't have to be the one that informs our world. So while it might be inconceivable to think that maybe elementary arithmetic wouldn't be characteristic of the physical realm, but even then, Kevin, why couldn't there just have been a chaos where you don't even have truths of elementary arithmetic characterizing the physical world? But even if you do say that it was necessary that the world be structured in such a world that elementary arithmetic, like 2+1=3, would be true, that doesn't go really any distance to explaining why the world would be imbued with this breathtaking mathematical structure that it exhibits. That doesn't seem to be necessary. On the contrary, as I say, it seems to be just a happy coincidence. The reason Leng calls it “happy” is because it is conducive to our existence. It is a happy coincidence on which we depend for our lives. Kevin Harris: You are working to finish your book on God and abstract objects this year. How does any of this play into your work? Dr. Craig: It is only tangentially related because I think the problem of the applicability of mathematics to the physical world is one that confronts both the non-theistic Platonist and the non-theistic nominalist or anti-realist. That is to say, if you are a realist about abstract objects and you are not a theist then it is just inexplicable why the physical world would be imbued with a mathematical structure of these causally irrelevant, non-spatio-temporal, abstract entities. On the other hand, if you are a non-theistic anti-realist and you think that these are just fictions in our minds then how is it that the physical world is structured in terms of these fictions? Neither the realist nor the anti-realist who is a non-theist has a good explanation for the uncanny applicability of mathematics to the physical world. This is self-confessed. They both admit that they have no account to give. That is why I say it is just a happy coincidence. By contrast, the theist (whether he is a realist of anti-realist) can give an account or explanation of the applicability of mathematics to the physical world by saying that God structured the physical world on the pattern of the mathematical structure that he had in mind. So there is an explanation available to the theist that is not available to the non-theist. Kevin Harris: It seems that I hear you say, Bill, that you could just in this area construct a cumulative case and that that would include the uncanny effectiveness of mathematics and the fine-tuning of the initial constants. Could you group those two together? Dr. Craig: I think they are similar but they are separate arguments. The way I did them in the debate was to present one after the other. I began with the general applicability of mathematics but then turned to the fine-tuning of the universe for intelligent life. So I think the arguments go in tandem with each other. They are nicely related to one another. Dear Dr. Craig, I'm a big fan. Thank you for your scholarly work. It has helped me in my faith journey as a Christian. However, I've had some difficulty with the way you were using mathematics in this week's podcast on the problems with actual infinities. First of all, if the number of numbers from 7 to infinity is identical with the number of numbers from 0 to infinity then infinity equals infinity plus 7, which means infinity minus infinity equals 7. Dr. Craig: See, that is incorrect. He's made a mistake right there already. The question of the existence of the actual infinite comes up in asking whether or not the past is actually infinite. Has there been an actually infinite number of past events? What I point out is that the notion of an actually infinite number of things leads to some really strange situations. These emerge particularly when you try to subtract infinite quantities from infinite quantities. In transfinite arithmetic, that is to say arithmetic using infinite numbers, you can do the positive operations of addition and multiplication, but the inverse operations of subtraction and division are prohibited because they do not lead to identical results. They would lead to self-contradictions. So in transfinite arithmetic he is correct to say that infinity plus 7 is infinity. But he is incorrect to say that infinity minus infinity is 7. You can get any number subtracting infinity from infinity, from 0 to infinity. Therefore, this operation is just undefined. It is prohibited in transfinite arithmetic. Secondly, if you are permitted to subtract the infinity of coins above 7 from the infinity of coins above 0, then infinity equals infinity minus 7. So infinity minus infinity minus 7 equals 7. Dr. Craig: Well, again, you see he is trying to subtract infinite quantities from infinite quantities, and you can't do that. It is not true that infinity minus infinity minus 7 is 7. You don't get any result. It is a forbidden operation. So every time he tries to make these inferences or equations, he is violating the rules of transfinite arithmetic. You cannot do the inverse operations of subtraction and division using infinite quantities. What I point out is that while that may be true in the mathematical realm, in the physical realm you could do these sorts of inverse operations. If you had an infinite number of baseball cards, you could give away every other card to your friend. So you could have infinity minus infinity. So there would be definite results in that case, even though mathematically speaking this is a forbidden operation. Kevin Harris: And it is forbidden because you get contradictory, illogical, nonsensical results. Dr. Craig: The answer would be that he has tried to do these inverse operations which are prohibited. See http://www.reasonablefaith.org/media/craig-vs-rosenberg-purdue-university (accessed April 20, 2014). See “Subtracting Infinite Coins and Necessity of the Universe” at http://www.reasonablefaith.org/subtracting-infinite-coins-and-necessity-of-the-universe (accessed April 20, 2014).